The language abilities of children generally take off during the preschool years. preschoolers might not be able to engage in mature political and social discussions by the age of 5 but they will certainly gain the ability of clearly communicating and understanding the communication of the other people. Gaining language skills is basically a blend of different specific skills that a child learns during the preschool years. Mastery of such skills is one of the most important language goals for the preschool children. 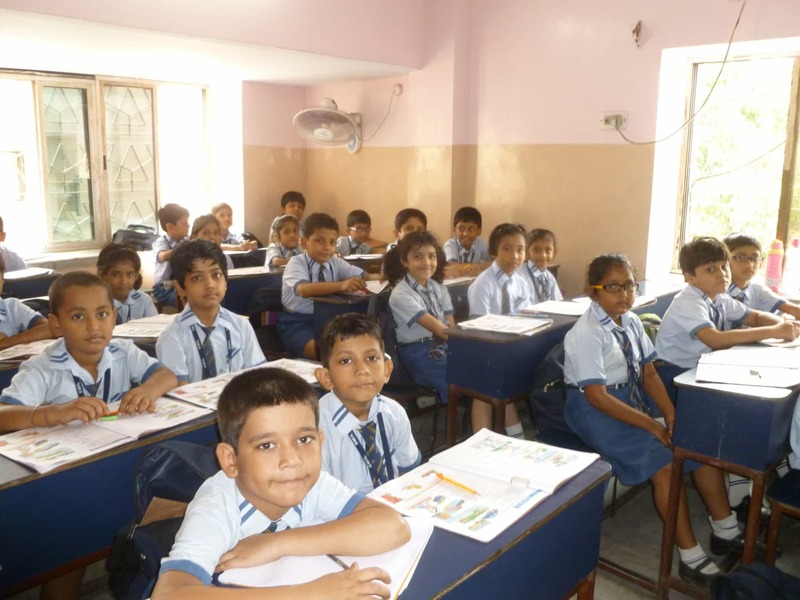 The top CBSE school in Howrah enables children to achieve their language goals in the most perfect manner. Children who are around 2 years of age gain the solid awareness of sound belongings to their language. Preschool children do know the written language but they can easily rhyme with the basic sounds and create new sounds which are generally meaningless but still an integral part of the language. This solid awareness of the native language generally strengthens during preschool years and extends from sounds to more complicated phonetic awareness like the ability of telling the syllables in a word. Preschoolers have this amazing quality of learning language very quickly. Mothers generally take a few years to memorize 10, 000 words in foreign language but the preschoolers know around 10, 000 words by the time they are ready for school. Preschoolers learn vocabulary faster in comparison to learning grammar. The language development in a preschooler is an instinctive and natural procedure. They use cues from the adults for figuring out the meaning of words without knowing how to make the perfect use of the words that they know. Toddlers generally miss out on sentences. They are not able to deliver complete or full sentences. However, the preschoolers start filling in missing words while framing sentences. This is considered an improvement in grammar as far as language development is concerned. at this stage, articles and prepositions start appearing in the sentences framed by the preschoolers. A preschooler not only starts making longer and correct sentences but also starts connecting sentences in a sequential manner. As soon as a child reaches five years of age, he or she starts using conjunction correctly. This results in an unstoppable line of words in some talkative toddlers at the successive irritation and immediate delight of their parents. Most the times parents are delighted watching their talkative preschooler because this is taken as a positive sign of intelligence in a child. A child’s ability of linking related sentences shows his or her improvisation in language skill and at the same time it also shows his or her ability of thinking logically. Thus, from the above illustration, it can rightly be concluded that preschoolers start developing their language and speech skills very fast. There might be exceptions in this category but most of them acquire the required language and speech skills within a very short span of time. Achieving language and speech goals at such a fast pace is considered a positive sign among children.